« Whiskey Energy Plant Success! You know it’s a pretty good sign to continue with a hobby when each and every time you give it a go, the outcome is the best to date. 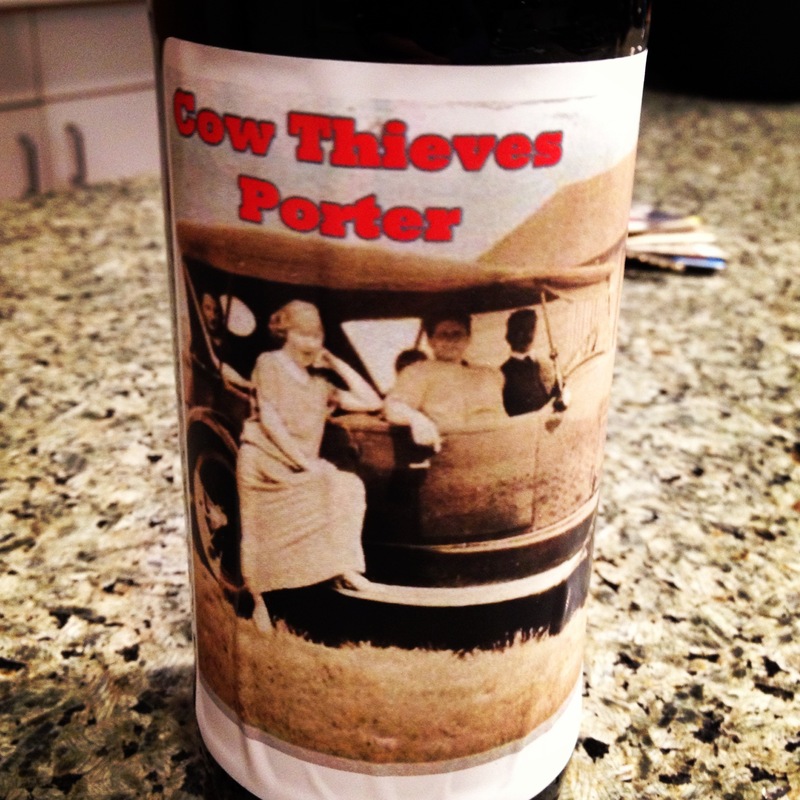 Long live the Cow Thieves Brewery! Our porter, donned with one of my favorite labels to date (a little original Bonnie and Clyde if you ask me), came out so delicious and drinkable that I’m reluctant to bring it up. The issue of course, is once you start making beer (or anything for that matter) that exceeds your expectations its always a little harder to give them out as gifts. So for those who end up with a few, consider yourselves the lucky ones. I had been worried, despite our initial pre-bottling tasting that the end result might have been a bit heavier than I was hoping for. Turns out, we nailed the balance between those malty flavors I love in a porter without suffering from pallet overload. Amazing! The only shame of it all, is that our Sorachi Ace hopped pale ale is getting a lot less attention, despite the fact that it’s pretty damn delicious on it’s own. 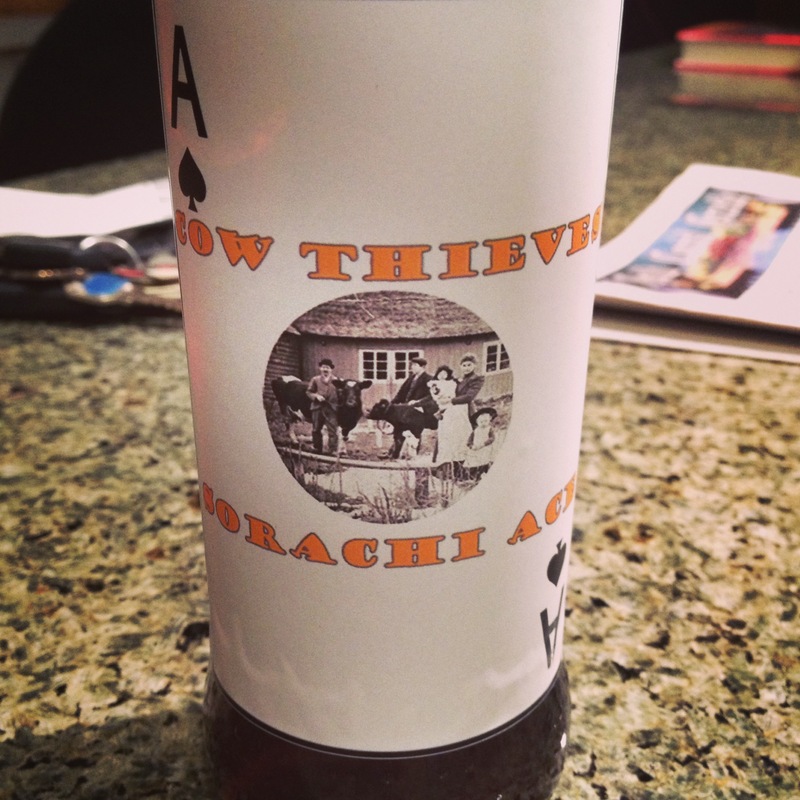 The aroma of the Sorachi Ace is spot on and the flavors themselves are perfectly balanced as well. This is a great spring time cookout beer, one in which I plan on drinking quite a bit of the next few weeks. It’s prime brewing season for us, so we’re already getting back to the drawing board on what to go for next. We loved our Saisons last spring so we might bring a variation back into the fold, but we’re open to your suggestions as well. What kind of beer should we make next? Any favorites we can use as inspiration?